Derges, Eden 2, 2004. © Susan Derges. Courtesy Purdy Hicks Gallery. Vera Lutter, Battersea Power Station, XXI: July 27, 2004, 2004-2007. © Vera Lutter. Courtesy Gagosian Gallery. 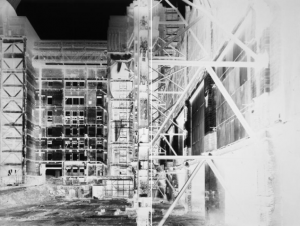 “Infinite Balance: Artists and the Environment,” currently on view at San Diego’s Museum of Photographic Arts (MOPA) seeks to address global concerns around sustainability through an eclectic mix of small and large scale photography. “Infinite Balance,” in fact, is also the first U.S. presentation of artists shortlisted for the Prix Pictect, the world’s leading prize for photography and sustainability. It’s no wonder then that the diverse backgrounds of the artists featured, from China to Germany, speaks to the larger message of the exhibition at hand. Upon first glance of so many of the photographic works, it appears that they are rendered in the style of classic Chinese scroll paintings or even early 20th-century Abstract paintings. However, this is not the case. Michael Wolf’s Architecture of Destiny #91 immediately recalls a candy-colored tapestry in its bright and whimsical nature. 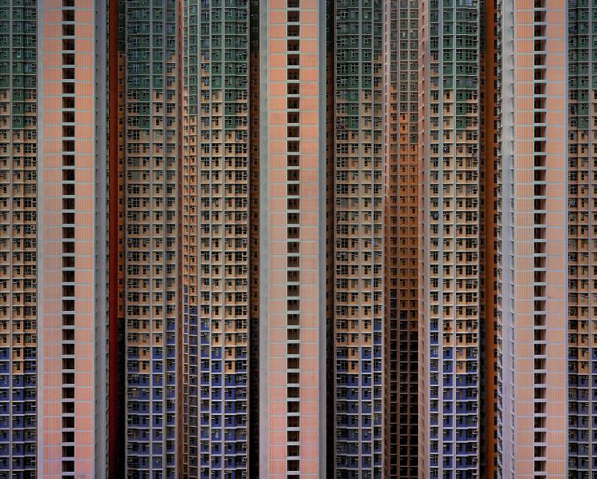 It is only upon closer inspection that the fields of abstract color become startlingly recognizable as gargantuan apartment towers. The dual nature of this work, along with many others, in its uncanny nature, elicits its potential to raise awareness about sustainability. 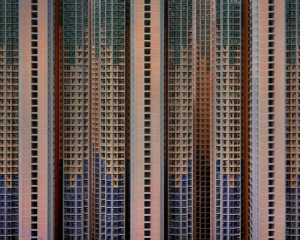 Michael Wolf, Architecture of Destiny #91, 2006 © Michael Wolf. 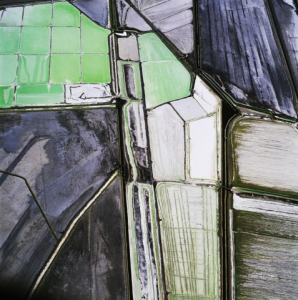 David Maisel, Terminal Mirage 5, 2003. 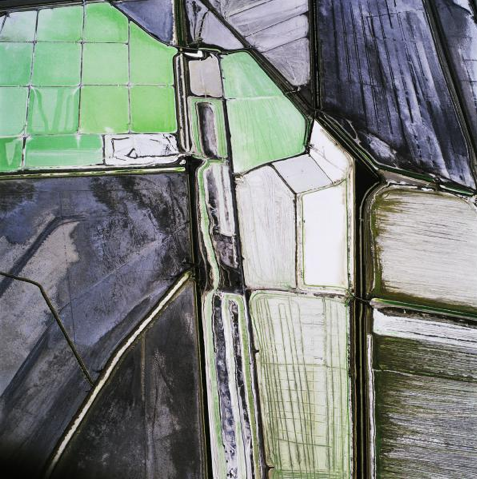 © David Maisel. Courtesy the artist and Haines Gallery. While works in the exhibition are designated by separate themes, Water, Earth and Growth, it may be more worthwhile to consider the works simply on their own as well as juxtaposed against one another. The eclectic mix of photographic types, from realism to abstraction to surrealism, invites viewers of all backgrounds to step back and consider issues of sustainability and the environment through a different lens. Albeit, a highly aesthetic one. 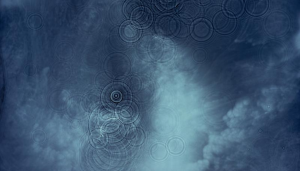 “Infinite Balance: Artists and the Environment” is on view at the San Diego Museum of Photographic Arts (MOPA) in Balboa Park through February 5, 2012.